This has be a solid rumor for over a month, but now it's official. The Google Play Store is coming to Chromebooks giving you a million reasons to buy a Chromebook this fall. The ability to run Android apps will start rolling out in June for three Chromebooks: the Asus Chromebook Flip, Pixel 2015 and Acer Chromebook R11. I would assume Chromebooks on the dev channel will also be able to get Android apps but don't quote me on it. There's been no official word on that, but I don't see why you couldn't get it to work on the dev channel. It will take some time for apps to actually come to the Chromebook platform since developers can't actually start submitting their apps until June, with an official rollout scheduled for fall 2016. Almost all of the popular apps currently have website versions, however as anyone who's visited instagram.com understands, it's limited capabilities. You can like and comment on a picture but cannot post pictures from the website. So imagine being able to look at your pictures on Google Photos then post them via the Android app with all of the filters Instagram offers. Apps that I think can take major advantage of a larger touch screen: Snapchat, any game, Podcast apps, sports apps like ESPN and 120 sports and media streaming apps like SlingPlayer, Netflix, and Hulu. 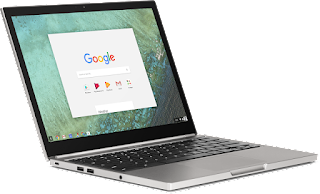 The disadvantage or proclaimed downfall of Chromebooks has always been, "It's just a browser" and "You have to be online in order to use it". Neither of these are true statements and actually have never been true since Chromebooks were introduced. Chromebooks currently run web apps (think original iPhone apps) and they all have at least 16GB of storage to store files. They also typically come with 100GB of Google Drive online storage that will revert back to 15GB after one year. Honestly, I can only think of a handful of times in the last 10 years that I've used a computer without an internet connection. Those times have all been showing a presentation that I had preloaded and stored locally. I believe it's safe to assume that most computer users only use their computer while connected to the internet as well. Chromebooks are used in most school systems because they can be purchased for less than $200 in most cases and it's safe to say, you're going to see a ton more in the next 6 months.